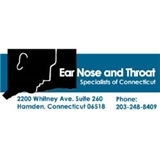 Ear, Nose, and Throat Specialists of CT (Milford) - Book Appointment Online! Excellent experience! Dr. Astrachan immediately assessed the problem and treated it with precision. Caring, kind and very knowledgeable doctor. Wonderful staff!